Zephyr Socket Head (Hex-Allen) Insert Bits are heat treated in small lots to guarantee consistent quality. Zephyr's unique Z-Forge process assures an exact dimensional fit in the recess. Zephyr Screwdriver Bits will give you the truest fit, longest performance and the least cam-out and product damage of any available screwdriver bit at any price. Zephyr Socket Head (Hex-Allen) Insert Bits have served the aerospace and automotive industries with high quality, technically innovative tools produced in a manufacturing environment that features intense quality control and superior customer service. Zephyr Socket Head (Hex-Allen) insert bit 5/32'', 1/4'' hex shank, extra hard, 1'' overall length. Zephyr Socket Head (Hex-Allen) insert bit 3/16'', 1/4'' hex shank, extra hard, 1'' overall length. Zephyr Socket Head (Hex-Allen) insert bit 7/32'', 1/4'' hex shank, extra hard, 1'' overall length. Zephyr Socket Head (Hex-Allen) insert bit 1/4'', 1/4'' hex shank, extra hard, 1'' overall length. Zephyr Socket Head (Hex-Allen) insert bit 5/16'', 1/4'' hex shank, extra hard, 1'' overall length. Zephyr Socket Head (Hex-Allen) insert bit 3/8'', 1/4'' hex shank, extra hard, 1'' overall length. Zephyr Socket Head (Hex-Allen) insert bit 1/16'', 1/4'' hex shank, aircraft intermediate hardness, 1'' overall length. Zephyr Socket Head (Hex-Allen) insert bit 1/16'', 1/4'' hex shank, extra hard, 1'' overall length. Zephyr Socket Head (Hex-Allen) insert bit 5/64'', 1/4'' hex shank, aircraft intermediate hardness, 1'' overall length. Zephyr Socket Head (Hex-Allen) insert bit 5/64'', 1/4'' hex shank, extra hard, 1'' overall length. Zephyr Socket Head (Hex-Allen) insert bit 3/32'', 1/4'' hex shank, aircraft intermediate hardness, 1'' overall length. Zephyr Socket Head (Hex-Allen) insert bit 3/32'', 1/4'' hex shank, extra hard, 1'' overall length. Zephyr Socket Head (Hex-Allen) insert bit 7/64'', 1/4'' hex shank, aircraft intermediate hardness, 1'' overall length. Zephyr Socket Head (Hex-Allen) insert bit 7/64'', 1/4'' hex shank, extra hard, 1'' overall length. 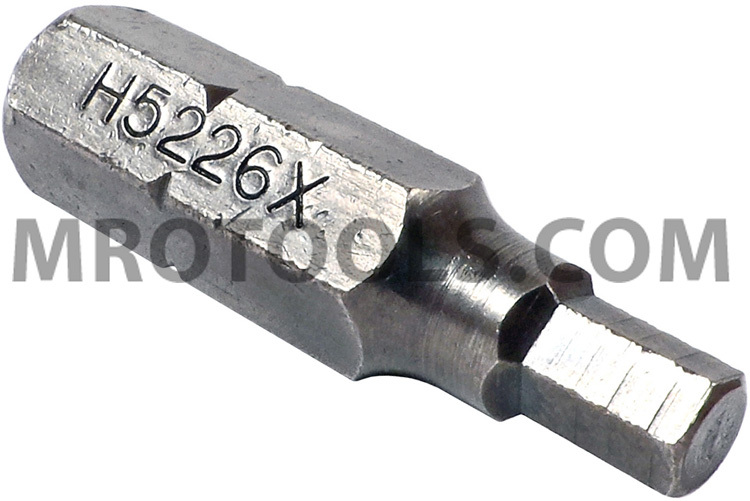 Zephyr Socket Head (Hex-Allen) insert bit 1/8'', 1/4'' hex shank, aircraft intermediate hardness, 1'' overall length. Zephyr Socket Head (Hex-Allen) insert bit 1/8'', 1/4'' hex shank, extra hard, 1'' overall length. Zephyr Socket Head (Hex-Allen) insert bit 9/64'', 1/4'' hex shank, aircraft intermediate hardness, 1'' overall length. Zephyr Socket Head (Hex-Allen) insert bit 9/64'', 1/4'' hex shank, extra hard, 1'' overall length. Zephyr Socket Head (Hex-Allen) insert bit 5/32'', 1/4'' hex shank, aircraft intermediate hardness, 1-5/16'' overall length. Zephyr Socket Head (Hex-Allen) insert bit 5/32'', 1/4'' hex shank, extra hard, 1-5/16'' overall length. Zephyr Socket Head (Hex-Allen) insert bit 3/16'', 1/4'' hex shank, aircraft intermediate hardness, 1-5/16'' overall length. Zephyr Socket Head (Hex-Allen) insert bit 3/16'', 1/4'' hex shank, extra hard, 1-5/16'' overall length. Zephyr Socket Head (Hex-Allen) insert bit 7/32'', 1/4'' hex shank, aircraft intermediate hardness, 1-5/16'' overall length. Zephyr Socket Head (Hex-Allen) insert bit 7/32'', 1/4'' hex shank, extra hard, 1-5/16'' overall length. Zephyr Socket Head (Hex-Allen) insert bit 1/4'', 1/4'' hex shank, aircraft intermediate hardness, 1-5/16'' overall length. Zephyr Socket Head (Hex-Allen) insert bit 1/4'', 1/4'' hex shank, extra hard, 1-5/16'' overall length.